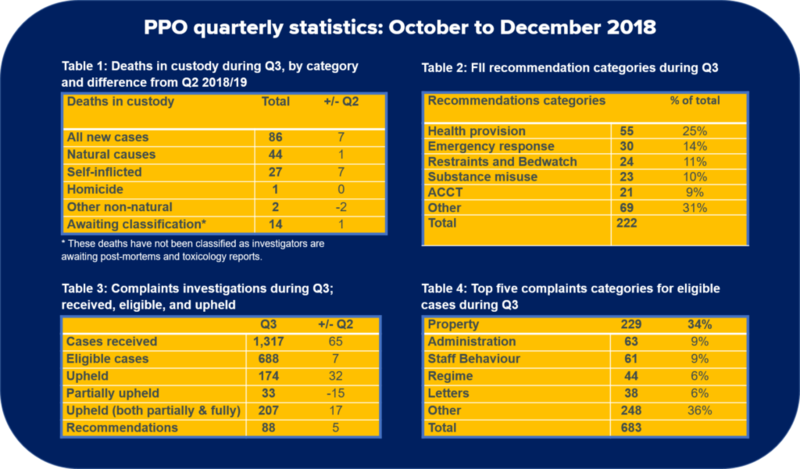 Each issue, we will provide you with the headline statistics from PPO’s work in the previous complete quarter. These headlines will cover the Ombudsman’s independent investigations of both complaints and fatal incidents. If you would like to know more, or if you feel there are some useful numbers we should be including, please email the team at ppocomms@ppo.gov.uk.